Co-chairs: Bayjanov G.N., Ziganshina D.R., Bondarik I.G., Wehrli A. 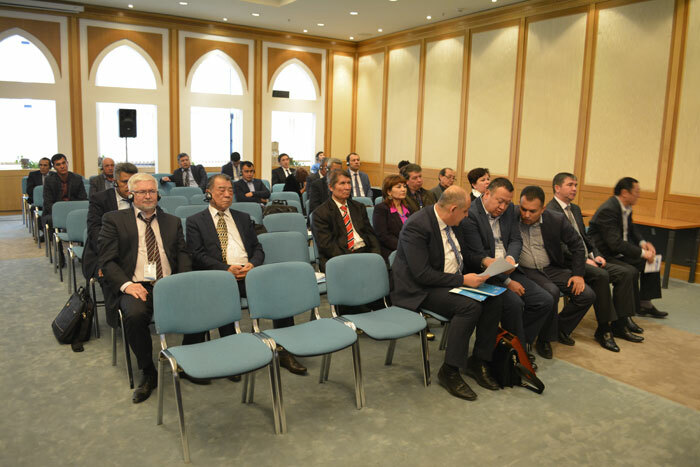 10 presentations were made at the roundtable by: Ms. D.Ziganshina, Deputy Director of SIC ICWC, Mrs. I.Bondarik, Vice President of ICID, Mr. A.Kenshimov, Executive Direction of IFAS in Kazakhstan, Mr. A.Mukhammedov, Head of Middle Darya Administration, Mr. U.Khasanov, Chair of International Relations Department, University of World Economy and Diplomacy, Mr. A.Wehrli, Regional Water Advisor of the Embassy of Switzerland in Kazakhstan, Mr. B.Kazakov, Head of Information and Analytical Center for International Relations, Mr. A. Dzhailoobaev, National Water Partnership of the Kyrgyz Republic, Mr. V. Akhmadjonov, Deputy Head of Irrigation System Operation Administration at the Ministry of Agriculture and Water Resources, Republic of Uzbekistan, Mrs. Yu.Videnina, representative of International Network of Basin Organizations (INBO). Water is in the center of political, economic, and social processes of development. Each of those aspects was addressed during the roundtable, with the focus on preventive and legal methods of regulation. Consensus and trade-offs were the key words in all presentations. The participants showed concrete examples of water diplomacy and application of international law in Central Asia and in the world at global, regional and bilateral levels. 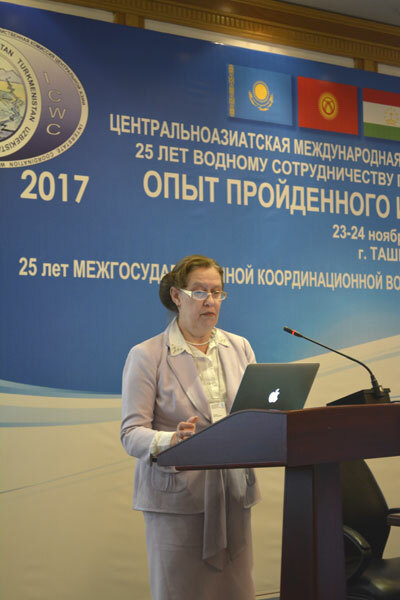 The reporters acknowledged the unique example of “diplomacy of water professionals” who demonstrated in essence responsibility before their nations for preservation of peace and order in the region by establishing the ICWC in 1992. The participants discussed the case-studies of bilateral diplomacy, especially under extreme situations in the lower reaches of Amudarya and Syrdarya, where permanent technical work groups had been worked since 1995. Detailed insight was given in evolution of law and diplomacy in the world and successful examples were demonstrated from Europe (Rhine, Water Directive) and America (US-Canada, US-Mexico, La Plata). Particular attention was paid to interaction of international and national water laws as a guarantee for sound water use and enhanced cooperation. The reporter from Kazakhstan demonstrated how provisions of international treaties were incorporated into national legislations and what should be done further in this direction. 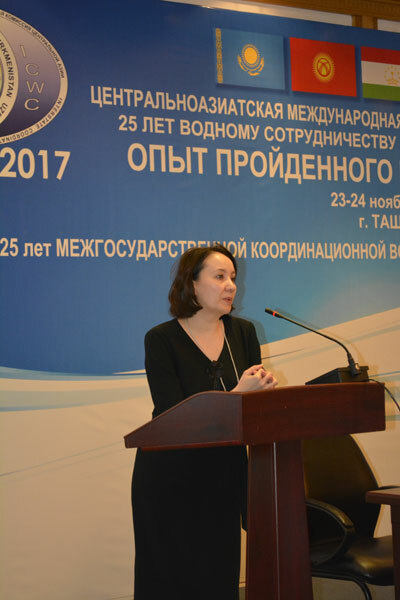 In this context, the work was presented on the development of water security indicators in the Kyrgyz Republic. Such indicators available at the national and regional levels are important for coordination of our positions. The key role of science and education was underlined for development of and contribution to water diplomacy. Representatives of the International Commission on Irrigation and Drainage and of the International Network of Basin Organizations (INBO) spoke about professional contacts within global networks that helped to search for common points and reduce tensions between representatives of different countries in the face of common threats, such as land degradation and global climate change. Development partners demonstrated examples of water diplomacy in other countries and regions all over the world. 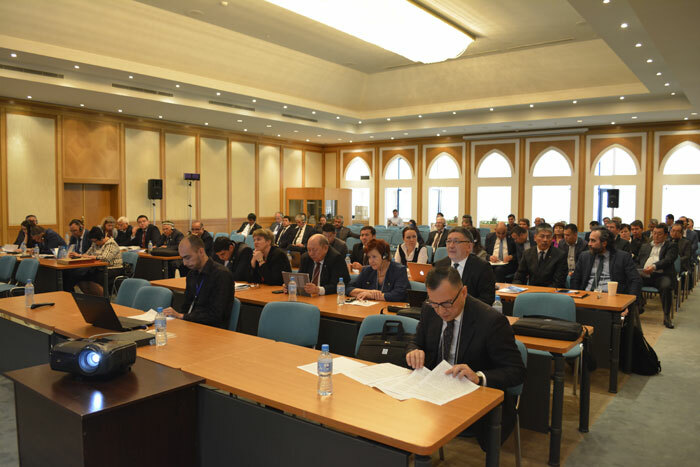 The participants were introduced to the French initiative on water and climate change, as well as to the Swiss approach “Blue Peace”, which combined policy level with technical work on the ground. Herewith, it was stressed that the Central Asian countries should determine their approach themselves and guide it themselves. Many reporters talked about a new vector of the external policy of Uzbekistan that thanks to good will of the neighboring countries had already changed dynamics of relations in the region. There is hope that mutually acceptable and sustainable water solutions in Central Asia would be sought for at a growing rate. 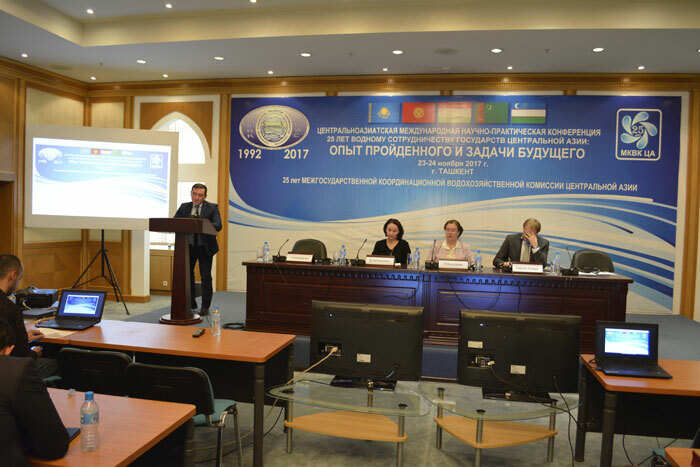 The presenters noted that based on Central Asian experience and best international practices, the ways could be paved for the improvement of legal framework of water cooperation to further strengthen good neighborly relations between the Central Asian states. Draft Conventions on Amudarya and Syrdarya Basins prepared by the United Nations Regional Center for Preventive Diplomacy for Central Asia could become one of documents to start dialogue. Any proposals should be based on universally accepted norms of the international law and meet the interests of region’s countries. 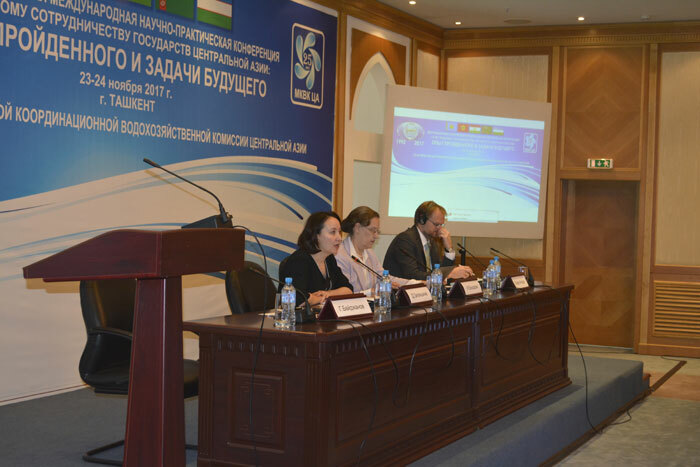 Many reporters pointed to a need to address water quality aspects as well and that there have been already arrangements between Kazakhstan and Uzbekistan in this area and SDC was ready to support activity of the countries in this direction. The reporters also stressed that harmonization of national laws and approaches to water use would contribute to fruitful dialogue.